deAsra is known for giving an hassle free approach to upcoming businesses by giving them a mentor to guide them through the entire process flawlessly. 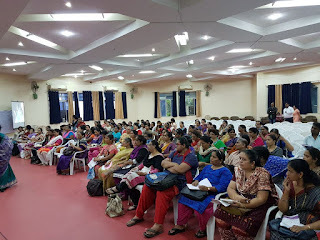 Conducted by deAsra Foundation with Mr. Kishor Sarpotdar of Pune Guest House fame, which was a mix of lectures and live demo. The main speakers at the event were Mr. Kishor Sarpotdar and Mrs. Devayani Kulkarni. Also participants were informed about recipe, packaging and selling information, food business setup and compliances & management guidance by speakers. 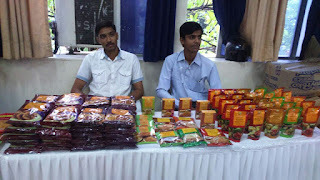 After program each participant was given a time of 1 week to prepare the products and get it quality and taste checked from Mr. Sarpodar & team, those selected will get an opportunity to sell their products to Sarpotdar hospitality and to the shops. 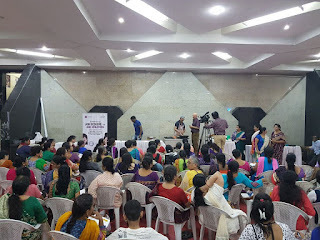 The program is sponsored & supported by Mothers Recipe, Chitale Bandhu Mithaiwale, Keshav Laxmi Prasadhane, Lijjat Papad, Agraj Food products, Yashswi Institute Catering College and Ashirwad Mangal Kendra. deAsra, an organization aimed at empowering budding entrepreneurs, recently organized a workshop highlighting the importance of using digital media keeping national awareness in mind, the workshop was a success. Conducted by Miss. Neha Sarwal, Digital Marketing Head at deAsra Foundation entrepreneurs were informed about the Go Digital concept. “You can do your business from home through social media, but it is necessary for you to see what social media site is appropriate and how that will help our business.” said Miss. Sarwal. The other key takeaways were:- How to increase sales through the help of SM, how to sell on online market places, how to choose the right platform to market yourself with these three important take ways, a business owner could sit at home and still make the most of their time. The next generation of Endoscopic spine surgery (Biportal Endoscopy) is here, expanding the indications of traditional Endoscopy and reducing the co-morbidities associated with open spine surgery. Biportal Endoscopy involves use of 2 separate channels, Scopic port (4mm) and Working port (1.5mm) with continuous water flow. This causes less bleeding giving the surgeon clear & magnified surgical view, precise decompression, reducing the chances of intra-operative nerve damage and eliminating the chances of post-operative blood transfusion. Also chances of surgical site infection are significantly lesser than open surgery. There is significant reduction in pain at the operative site so patient can be mobilized earlier, as early as 2 to 3 hours after coming out of anesthesia. Patient is allowed to use commode chair on the following day reducing dependence. The total hospitalization period is typically 2 to 3 days and patient can walk home after that. Some physical restrictions need to be followed along with physiotherapy for 4 weeks post-op but the return to normal daily activities is much faster. Cost-effectiveness: since majority of the instruments used in this procedure are same as traditional surgery, they are readily available with all spine surgeons. Increased spectrum: Almost all pathologies in Lumbar spine can be treated using this method. Advantages to the patient: Less pain post-operatively, early mobilization, less blood loss (avoiding blood transfusion), lesser hospitalization, and more cosmetic. Future trends: UBE is well tested modality accepted in various international publications, but developments are still on to expand the scope of the procedure to include multilevel pathologies. Single portal (working channel) endoscopy is an established modality of minimally invasive spine surgery for lumbar and radiculopathy (slip disc) but unfortunately the spectrum of diseases treated under this technique are limited. Also this technique has a very steep learning curve and requires high end instruments. With a view to overcome these limitations UBE technique is developed. The skin incision is significantly smaller than traditional surgery but the risk of neuronal injury is lesser cause. Magnification, better visualization, under water use of Cautery leading to heat dispersion. The need for postoperative blood transfusion is not only dependent on intra-operative blood loss but also on handling of para-spinal muscle (operative trauma), post op drain, patients pre-op Hb, patient on anti-platelet medications etc. If these factors are taken into consideration the chances of needing a blood transfusion are lesser with endoscopy. Annapurna Pariwar, a group of 5 NGOs working for the uplift of slum dwellers in Pune and Mumbai for the last 25 years celebrates its Founder’s day each year in the month of August. The function is a celebrated as a tribute to Late Dada Purao (Com. Narendra S. Purao) whose birthday falls on August and who was visionary leader with a deep sense of commitment for the emancipation of all the toiling masses of the country. On this occasion Dr. Medha Purao and other members of Annapurna Pariwar were present. After having participated in India’s freedom struggle, he realised that political freedom bereft of economic freedom, particularly for ordinary masses, is futile and meaningless. Therefore, he devoted his energies for organising Bank employees, textile workers in the city of Mumbai and in a short span earned respect as an accomplished Trade Union Leader and rose to prominence as a vanguard national leader of All India Bank Employees Association (AIBEA) a biggest and prominent Trade Union Organisation of middle class bank employees of the country. Annapurna’s Dada Purao Research & Training Institute (DPR&TI) undertakes special studies, research projects and allied activities at local, regional and state level and works out models of micro finance and combines with other ancillary and other related activities to ensure social security and dignified life to the deprived sections of the society. Needless to say that towns and cities cannot grow and sustain themselves without resolving the problems of urban poverty. Every year DPR & TI publishes a book based on its social interventions showing the impact of its various programs and the challenges ahead. This year, Annapurna shall be releasing a book on ‘Demonetisation — Experiences of the Poor’ written by Dr. Kanish Debnath. The book speaks of the experiences of Annapurna’s poor micro borrowers in the wake of the recent demonetisation imposed in the country. Customers feedback is most important in business: Mrs Zelam Chaubal. Eminent business personalities from the city been felicitated. In a bid to inspire aspiring entrepreneurs and honored successful businessmen from the city, deAsra Foundation organized the ‘Entrepreneur Excellence Awards for the year 2017’. 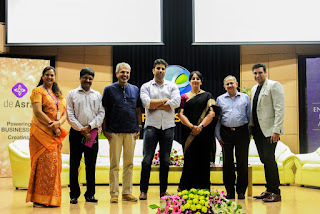 The program was held at Devang Mehta Auditorium, Persistent Systems, Senapati Bapat Road, Pune. The Foundation is always working to provide right guidance and encouragement to those who wish to start and grow new business. The award was given to five nominated and successful entrepreneurs from Pune. These prominent names include Mr. Saurabh Gadgil, PN Gadgil Chairman and Managing Director, Mr. Shrikrishna Chitale, Director Chitale brothers, Ms. Jelam Chaubal, Director Kesari Tours, Mr. Pradeep Chordia, MD Chordia Food Products Ltd. And Mr. Abhimanyu Sable, founder & MD ABS Fitness and Wellness Club have been honored with this Award. The main Speaker at the event honorable Mr. VishwasMahajan, TiEInterviewed these excellence entrepreneurs. While addressing the entrepreneurs and professionals at the eventMr. 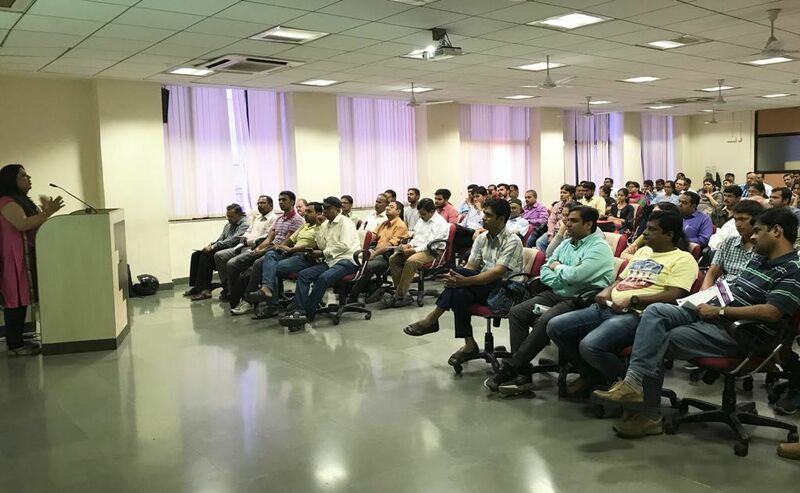 Saurabh Gadgil, PN Gadgil Chairman and Managing Director Said “If your thoughts are true and strong your business will definitely grow and will be successful for sure, along at same time in business we need to change our ourselves or system as per demand from customers”. Mrs. Jelam Chaubal, Director of Kesari Tours said. “if you are in any business you must learn to make strong manpower build good relations and trust with your employees,also in any customers feedback is so very important to grow your business and that helps to provide good service to them”. “ if you get returns from the business do not keep it as profit, but try to give more to your customers from that”. She added. Mr. Abhimanyu Sable, founder & MD ABS Fitness and Wellness Club mentioned that, “When I joined as trainer in 1991, there was lack of scope and knowledge for that business, so while starting or thinking about any business one needs to have passion, education and knowledge and motivation about it,that’s the most important thing we need to understand”. New Entrepreneurs and professionals receivedperfect guidance and tips to become successful from these five awarded Entrepreneurs as they shared their experience and journey. Around 400 plus entrepreneurs, professionals and newcomers took advantage of this program to make progress in their business and industry.